I love this new stamp by Stampin' Up! It's a must have. 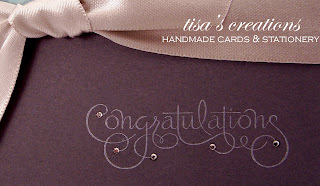 Yep, I had to jazz up the card and add rhinestones - but I love rhinestones and try to add them to most cards when ever I can. Paper: SU! 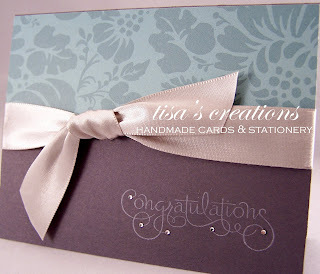 Basic Gray, Patterned Paper: K & Company. Silver Satin Ribbon. Enjoy! Very cute and pretty. The rhinestones are perfect.